After dealing with motor issues to start the year, Mike Robinson Jr. returned to Sunset Speedway in a big way, scoring the Signs of Innovation Mini Stock feature victory. Tyler Seaboyer won the first heat ahead of Samantha Shaw, Cameron McGlashan, Bob Phinnemore, Doug Wilman, Scott McGregor, Ken Townsend, and the 43. Daniel Montanari won the second heat ahead of Chandler Bos, Mike Robinson Jr., Dylan Holmes, Taylor Thring, and Eric Rainey. Samantha Shaw won the third heat ahead of Seaboyer, McGlashan, McGregor, Wilman, Phinnemore, Townsend, Peter Inglis, and the 43. Daniel Montanari went for the daily double ahead of Bos, Holmes, Robinson Jr., Jason D’Antimo, Thring, and Rainey. 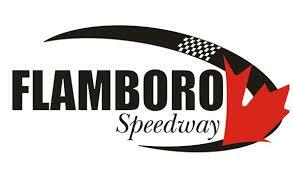 Come feature time, Peter Wakeling started pole ahead of Bob Phinnemore, Scott McGregor, Chandler Bos, Taylor Thring, Ty Seaboyer, Dylan Holmes, Cameron McGlashan, Samantha Shaw, Daniel Montanari, Jason D’Antimo, Mike Robinson Jr., Doug Wilman, Ken Townsend, the 43, and Eric Rainey. The initial start did not go smoothly, as Thring got spun around after contact from behind in turns one and two on the opening lap. The second attempt to begin the event went smoothly – or as smoothly as you can when the whole field is three-wide from the front to the tail of the field. With everyone jostling for position, it’d be Bos leading at Lap 5 ahead of Holmes as Robinson Jr. and Shaw ran side-by-side for third. Robinson Jr. continued to move forward, snagging second a lap later, as Shaw got alongside Holmes. With seven laps on the board, Bos led Robinson Jr. and Shaw as Holmes and Seaboyer ran side-by-side for fourth ahead of Montanari. Seaboyer got the spot on Lap 9, bringing Montanari through with him a lap later to bump Holmes back to sixth. Behind them, McGlashan ran seventh ahead of Wilman, McGregor, D’Antimo and Phinnemore, as Wakeling and Townsend battled for 12th. The shuffling continued, with McGregor passing Wilman for eighth at Lap 13, with D’Antimo looking to follow him through. At the front of the field, Robinson Jr. was able to track down Bos through the lap traffic, getting alongside for the lead with 15 laps on the board. Two laps later, Robinson Jr. took the top spot ahead of Bos, with Shaw third ahead of Montanari, Seaboyer and Holmes. Shaw would then get alongside Bos for second at Lap 19, completing the pass one lap later. Montanari would then move up to third, bumping Bos back to fourth ahead of Seaboyer, Holmes, McGlashan, McGregor and Wilman. Mike Robinson Jr. picked up the win ahead of Samantha Shaw, Daniel Montanari, Chandler Bos, Tyler Seaboyer, Dylan Holmes, Scott McGregor, Jason D’Antimo, Doug Wilman, and Bob Phinnemore. Notably, McGlashan ran into a mechanical issue on the last lap, knocking him out of the top-10.